Applications for online poker licenses in Nevada will hit regulatory agendas in May or June, Gaming Control Board Chairman Mark Lipparelli said at Wednesday’s Gaming Policy Committee meeting in Las Vegas. Last fall, Gov. Brian Sandoval announced the revival of the 11-member panel that hasn’t met in nearly 20 years. It was new faces and new issues this time around. The purpose of the meeting was to discuss Nevada’s plans for overseeing the nation’s first intrastate online poker industry. Along with Sandoval and Lipparelli, other members of the Committee include Gaming Commission Chairman Peter Bernhard and MGM Resorts CEO Jim Murren. Lipparelli added that he can’t predict when the Silver State will see its first wager in cyberspace. After a brick-and-mortar casino is licensed to offer online poker, its technology must be approved before opening its doors to customers. Nevada has authorized private companies to be involved in the testing process. 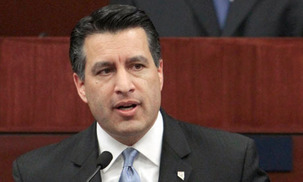 According to Sandoval, other states are waiting to see how the industry develops in Nevada before moving forward with online gaming of their own. California and New Jersey have active legislation for online poker, while Iowa, Mississippi and Hawaii have all seen their respective bills fail in 2012. The top executive at one of the largest casino companies in the world also said that “MGM will be punished” if it messes up with online gaming early on. “We have a lot at stake,” Murren acknowledged. Despite preferring a federal bill for online gaming, Murren said he’s very happy with the progress in Nevada. “The federal government doesn’t seem to get a lot done,” Murren jabbed at efforts on Capitol Hill. 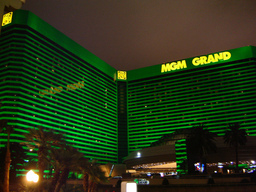 MGM has already applied to operate online poker and would use the software of Bwin.party Digital Entertainment. So far, more than 20 companies have filed paperwork to participate in the online gaming realm. There was no formal action of any kind at the quick 90-minute meeting. When the future of the state wasn’t being addressed, some of the gaming leaders in the room were reminiscing of Nevada’s past accomplishments to remain an industry leader. Four more meetings are to be held in the coming months. There is no schedule yet, but Sandoval said the final one will be no later than August.